The CNC routing is not limited to wood. There are other materials with which I want to experiment. 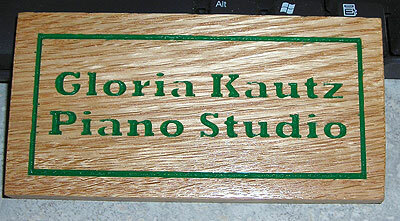 Here is the first sign I made with the Vectric software. A basic try-out. This sign is carved into red oak. For sure there are more detailed projects to come.